You’re Not Broken & You Don’t Need to be Fixed! I remember when my self esteem was at the bottom of the barrel, and I know how difficult it was to uproot all of the false negative messages and transform them into pure truth. I learned from my writings to God and the answers I received that it is certain beliefs that we hold within our mind, even if on the subconscious level, that we are not consciously aware of, that cause us to feel as if we are somehow broken, and need a good deal of fixing. What I discovered was that we needed a good deal of truth to transform those false, negative beliefs that have kept us stuck in any area of our lives, including how we view ourselves. I hear so many people say they are “working on themselves” as if they are an automobile in a mechanics shop. What may be “broken” is your spirit, your feelings of goodness and love about yourself. This is what simply needs to be transformed, and it all occurs within our minds. How we view ourselves is the core foundation from which we live our lives. It is what determines what we attract into our lives, and how we allow ourselves to be treated, along with how we may treat others. Not one of us is “perfect”; we have moods, days that feel great, and days that feel terrible. However, if there are parts of ourselves that we would like to transform then this comes down to simply transforming our views within our mind. The greatest process I have found for pure, authentic personal transformation is by writing to God, however you personally understand God to be, writing about our feelings, and asking about what is still in our unconscious that we are not aware of that needs to be uprooted, released, and then transformed as pure truth takes the place of the old views that we have been unhappy about. In my sharing the book If God Hears Me, I Want an Answer! in e-book format with all of humanity completely free of charge, I realized that there are people who are not fully committed to their own personal growth and transformation. After all, when all of the tools are freely provided, along with support, what more does it take to inspire people to feel their highest and best? I believe it takes letting people know they have a simple decision to make. A decision about how they, how you, want to feel, live, be and express yourself as your highest version of you that you came into this life to experience. Some people feel more comfortable complaining. I understand this, because I know that it requires a lot of conscious focus, will and determination to turn around negative views of self. It also requires great courage to follow through in our actions when we feel afraid of moving out of our comfort zone. So ask yourself a simple question: What do you truly prefer? Which way would you truly prefer to feel and live? Therein lies your answer. When you make your decision as to how you prefer to view yourself, treat yourself, and live it out on all levels so that you feel all of the goodness your bring out into this world, you will then feel all of who you are, and you will continue to bloom. Here again, I am sharing seven steps with you, taken from the book, Dear God, How Can I Finally Love Myself? I hope that you follow them, because they will bring about the outer results your heart desires, from the inside out. You are here to experience yourself, not ‘fix’ yourself. I hope this brings you some inspiration to either get started or to continue so that you are living all of who you came into this life to be. It begins with a simple decision, and I hope you decide to make that decision now. © Copyright 2011 by Barbara Rose PhD. All Rights Reserved. 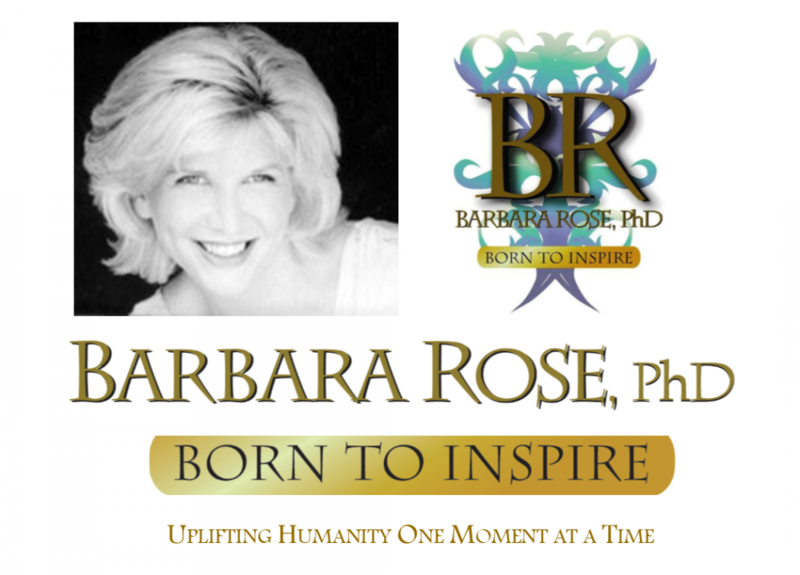 This entry was posted in Browse Pesonal Growth and tagged Barbara Rose PhD, BORNTOINSPIRE, Personal Growth, personal transformation, Self Worth by Barbara Rose, PhD |Born To Inspire | Bestselling Author| Life Transformation Expert. Bookmark the permalink.